As the price of collectable classics has ridden the elevator up to the 99th floor in the past few years, you might not be surprised to notice that more common/pedestrian classics have also seen an uptick in asking price. The plus side is that a car that might have been crushed and recycled into manhole covers is now saved and offered for some ridiculously high sum of money on craigslist. 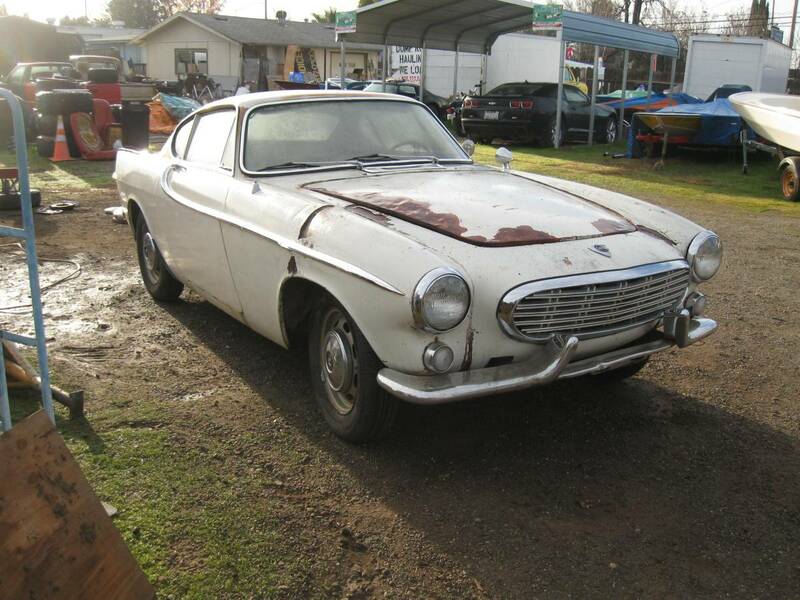 Find this 1968 Volvo 1800 offered for $4500 near Chico, CA. Tip from Terry. I have never seen a car from California look that rusty. Maybe imported from Pennsylvania? Well it looks like typical parked outdoors in the occasional rain california rust , not drive through a corrosive slurry rust, so if there is not a dairy farm nearby, that is probably not a problem. On the other hand it's been wrecked and repainted at least once, maybe twice, the front end was originally red , but the rest was white. The really scary part is that wrinkle behind the drivers side door that indicated that the car probably got rear ended exactly where the bumper mount could transfer the force to the unibody. I'll be willing to bet that the wheelbase on the drivers side is a bit less than it is supposed to be. Of course there is also the possibility that the new front end was spliced on without properly relieving the stress to the rest of the monocoque and driving over a rail crossing or a pothole caused it to buckle. Sadly I have personal experience with all of these phenomena. I think rust is the least of the problems here. Silly asking price. For that figure it should be running, and for a little more you can get a good one. Anyone looking to revive (let alone restore) this car will instantly be upside down. 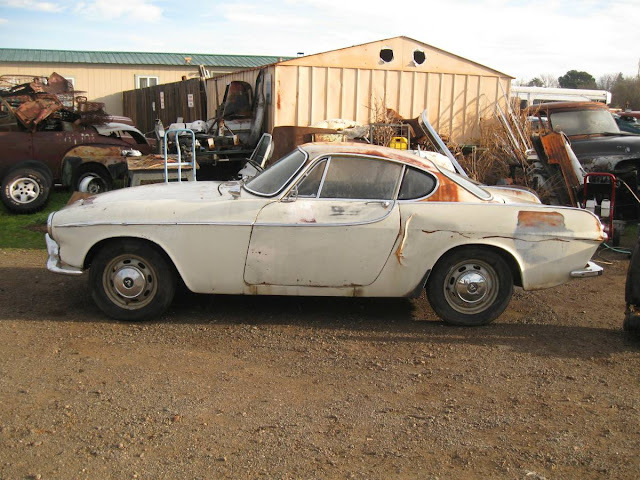 These cars are unusual, but not that rare. Really good ones are still under $20K. My wife and I picked up a similarly rusted & damaged '66 1800S in much better condition overall for $1500 in late 2011. I can't accept that this model/condition has seen over a 300% value increase in 6 years. I could see someone paying $2500 for this, sure. $4500 seems to be fishing.